Weekly smARTips: Is Beauty Ever Enough? When I ask an artist why she makes art, one of the most common responses I get references beauty. Weekly smARTips: Vision. Visible. Visionary. 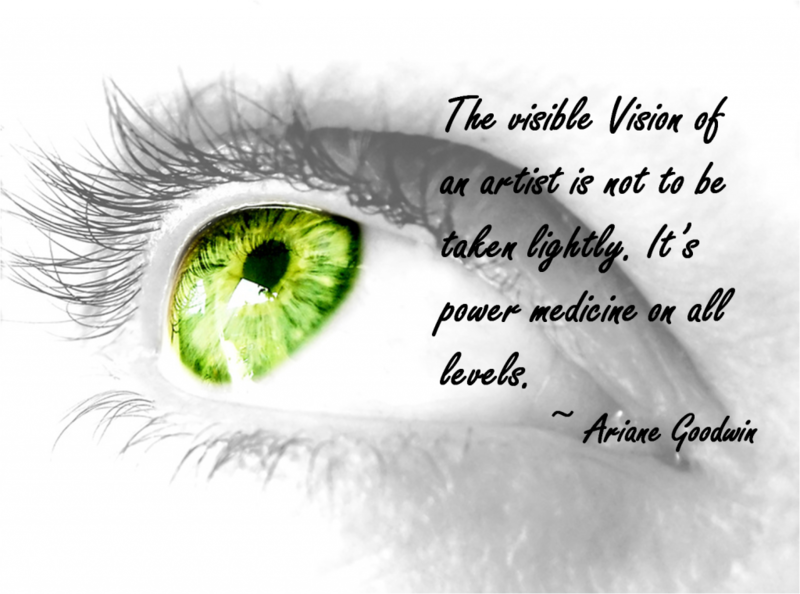 One of the great wonders of the visual arts is how it influences not just what we see, but how we see. It changes the nature of our vision of ourselves, and the world we live in. It changes the nature of vision itself. The artist, while maybe taking it a bit for granted, knows that her vision of what’s around her, and in her, becomes transfigured as the artwork emerges. I don’t know if you’ve ever performed on stage, in a play, a leading role where you were in every scene and interacted with almost every player. 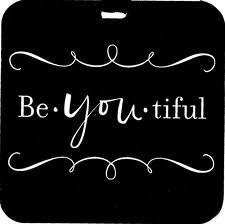 If you’ve never been there, done that, it might seem romantic or thrilling – all that attention focused on you. That was never the case for me, even though I loved the entire process of acting in a theater. I loved finding a voice, character, body language that wasn’t “me.” It was a toot! If only I didn’t have to do it center stage, it would have been perfect. And what is more incredulous are the plethora of artist website templates available online that keep this lie going. 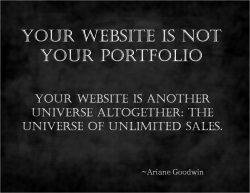 Your portfolio is your portfolio. 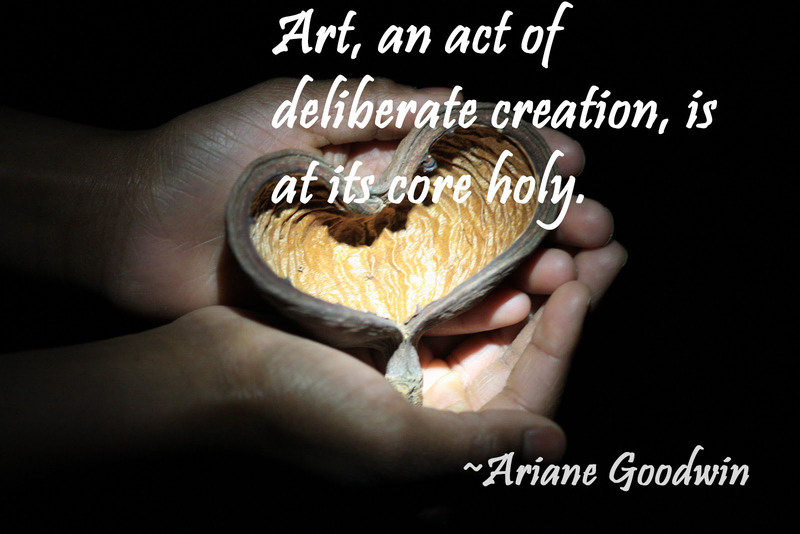 Art, an act of deliberate creation, is at its core holy. In its earliest forms, art shows up in spiritual and religious contexts as humans grapple with the holiness of all that surrounds them: mysterious, inexplicable nature. Each piece of art re-ignites the creative core that is the essence of all human beings – both from the creation side and from the appreciation side. 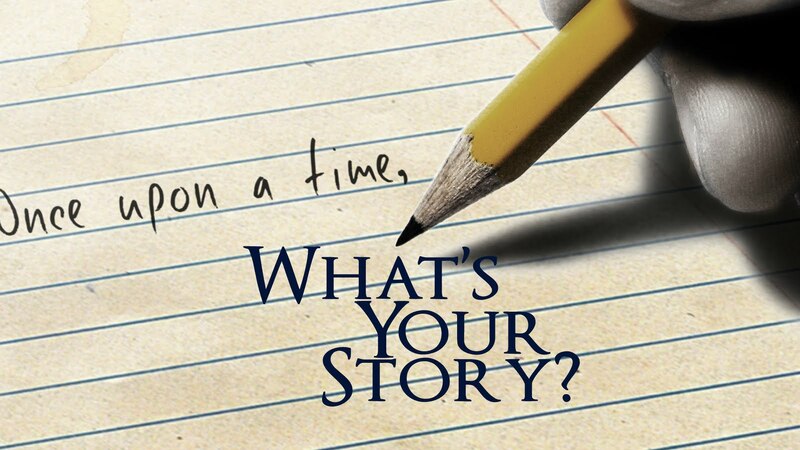 Weekly smARTips: What’s Your Story? And like most things that remain largely unconscious, that “thing” becomes a puppet string pulling us in a direction we might not want. 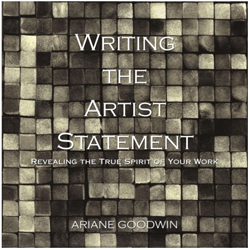 So, the first step is to make your “selling my art story” conscious. 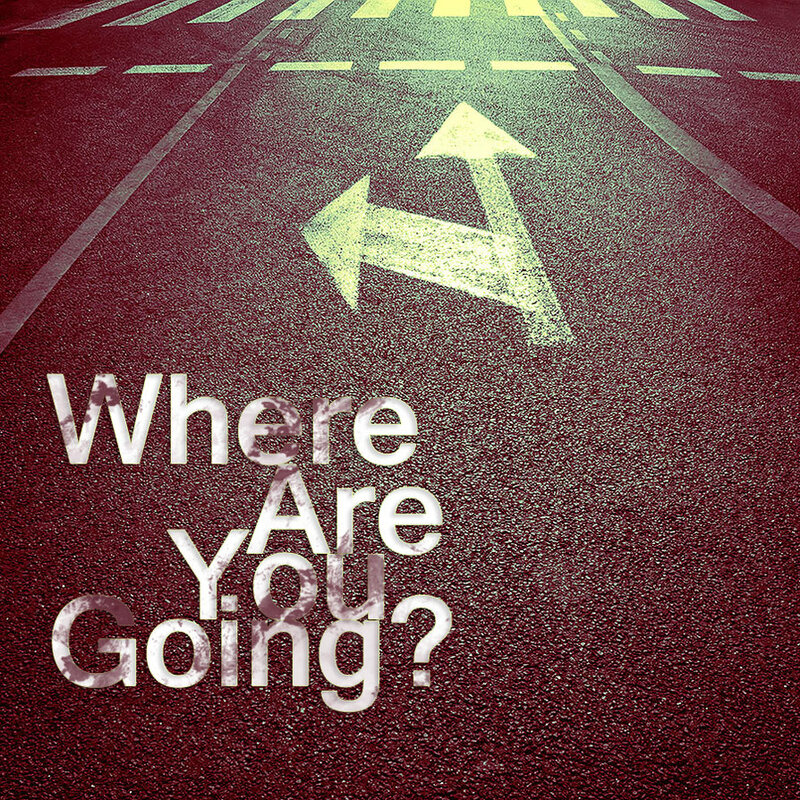 Weekly smARTips: Where Are You Going? Every Fall I take stock of the last three-quarters of the year. First, I look at what I wanted from the year (that would be January 2013), and then I assess how on, or off this three-quarters of my year has been. Most of the time I’m pleased with progress in some areas, and dismayed by a lack progress in others. 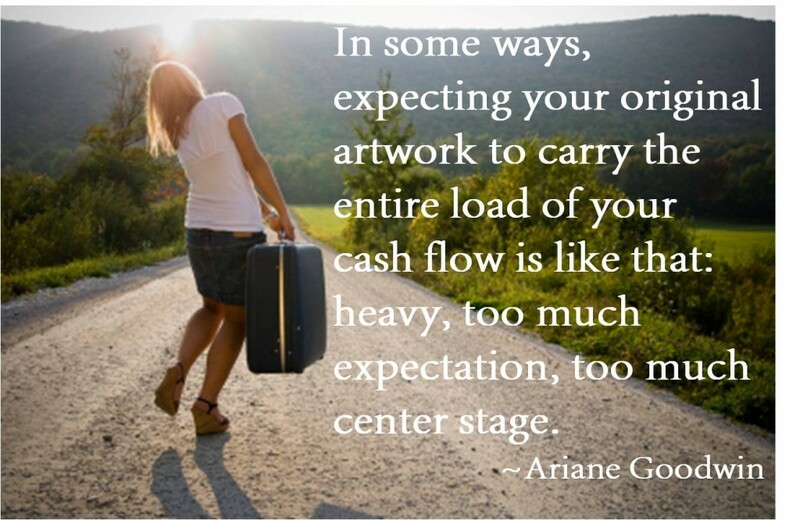 Often I notice that where I’m displeased is where I’ve gone off track from my core vision for the year. For instance, this year I was bound and determined to finish my forthcoming book, The 10 Zen Habits of Successful Artist. And, yes, the year isn’t over. However, I’m also nowhere near my original goal. Taking stock at this point gives me the option to either ramp up the effort, change the goal line, or make some new decisions on how to deliver the book. 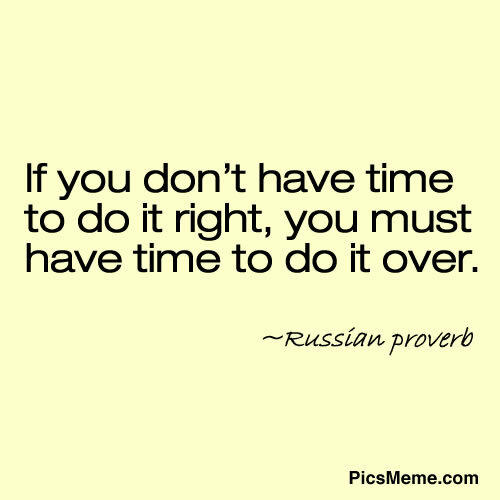 Weekly smARTips: Is Time Really On Your Side? Totally neutral resources where we’ve shaped a personal relationship based on a belief system steeped in the dynamics of our families and our culture, which are then confirmed (or refuted) by our daily experiences. If neither one is working for you – time or money – check out your relationship to it and see what turns up. Meanwhile, here’s a very short run of time sayings. 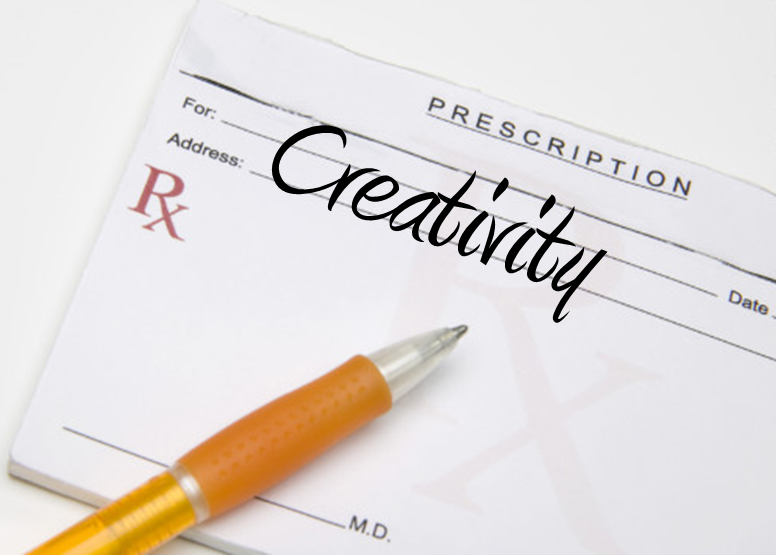 Weekly smARTips: What compromises creativity? Move your career into high gear… one tip at a time! Just like the quality of your daily life depends on how you and your body are feeling, so too does the quality of your artwork and art career depend on how you and your body are feeling. And nothing does creativity in more quickly than when you feel overwhelmed, discouraged, or burned out – in the short term, or long term. Passion running on passion juice feels great in the moment, but without learning how to be aware and intentional about your passion, you run the risk of literally running dry. There are two kinds of clutter. 1) The “I can’t stand this mess a minute longer” kind. 2) And the “I know exactly where to put my hands on anything” clutter. The trick is not to fool your self about number two when it has shaped shifted into number one. Putting yourself first is not selfish, it’s the key to true health since without your mind, body and spirit thriving, how on earth will you be able to take care of others over a whole lifetime? Pay attention to the authentic rhythm of how you work and play so you can increase your productivity with grace and ease. This week, pick one of the four remedies above – the one that speaks to you the most – and explore it. For #1: Keep this Q in mind as you go about your daily life: What would change if I was aware and intentional about my passion for making art? For #2: Which kind of clutter is surrounding you? And, do you pick on yourself about not being as organized as you want, or do you explore ways to gentle yourself into “just enough” organization? For #3: What one thing can you do this week 100% for yourself – and feel great about it? For #4: What would it feel like to move through a day dancing to your own drummer? Pick a day and give it a whirl. Last week I challenged you to experiment with your own willful time machine. This week, I want to revisit time because I suspect it’s one of the most pervasive elements coloring how we experience our daily lives. As John Lennon knew so well: life is what happens while we’re making other plans—(about how to use our time). For most of my life, time was anything but my ally. I had this annoying pattern of running late. One of my daughters, to this day, remembers her frustration with a mother who never picked her up on time, or got her somewhere on time. And I remember the panic I’d feel when I realized I was going to be late. That all changed after reading (as I mentioned last week) Gay Hendrick’s “The Big Leap” where he offers the preposterous suggestion that time is malleability – that we are all capable of stretching time out, or collapsing it. The key is where we think the controls are. 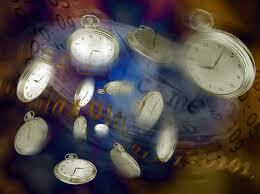 When we speak of time flying, we think our experience of time moving more quickly than usual is up to time. 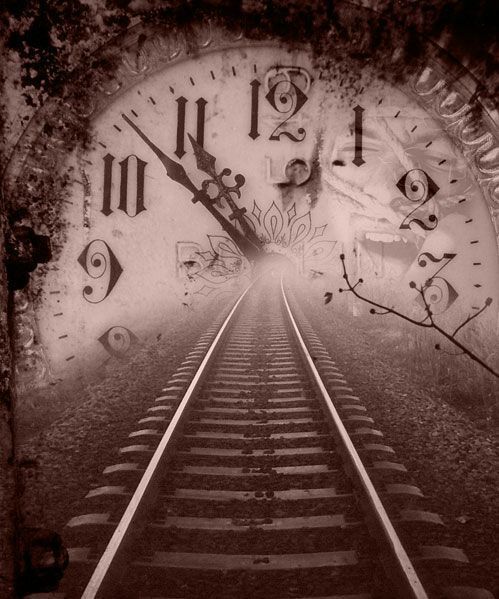 According to recent physics research, it turns out that time is analogous to a landscape that we are moving through, rather than an experience happening to us. What if it’s actually our choice, to move quickly or slowly, that changes the way we view the timescape around us? This week, instead of “managing” your time, what if you went easy on yourself and switched to experiencing your relationship to time instead? What if you viewed time as a landscape (does that spark some ideas for artwork, perchance?) that you are interacting with? What new, inner clockworks might blossom? What sighs of relief might escape? One way we do not take care of ourselves is by using the pressure of time to whip ourselves into shape. What if there was a more effective way to come into shape gracefully and with our authentic selves intact? You Can Sign Up For Access by Clicking Here. What have you noticed about time, and how you use it? Is it something that feels in your control, or out of your control? I have just returned from what I call luxurious time. It’s the second year I’ve taken off three weeks in one long stretch, and the sense that I’ve washed away all the work grime in a cool Alpine stream is pure bliss. I know the glow will wear off, like any honeymoon. I also know this is a new long-term strategy for me – making a commitment to myself to take time off from professional responsibilities so I can discover new dimensions to being alive. One of those dimensions is about time itself. Years ago, I remember reading in a scientific journal that time was a landscape and we experience time because we are physically moving through that landscape. It brought to mind Salvadore Dali’s melted watches draped over a landscape of rocks and water – as if he had read the same article I did. And I started to think about the experience of time and how it affects your work. In The Big Leap, Gay Hendricks talks about our ability to expand or contract time at will. Quite the mind bender for those of us who experience time happening to us, not us happening to time. Yet, we all know there are times when “time flies,” and other times when “time stands still,” and even the “watched pot never boils” slow time. So I’m wondering what might happen to your experience of time, this week, if you decided to experiment with your own personal, willful time machine? 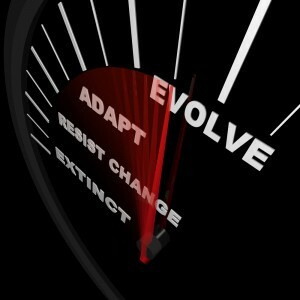 What would change about the way you produce your art if you, willfully, expanded, contracted, or made time stand still? How would that transform how you take care of yourself: shift frantic to peaceful, too little to just the right amount, release constriction to an open flow? This month, I’m urging every one in my circle to indulge in self-care – as a way to be kind to yourself, and also as a foundation for being more present and attentive to the demands of your daily life. What are the Four Directions of self-care, and why do you need to integrate all four into your daily life? What simple steps will let you care for your body and mind in the same breath? What is the mainstay of a healthy, energetic, creative brain/mind, which every artist possesses? Watch your inbox in the next few days for a download link for this—my September gift to you. If you’ve been paying attention, you will have noticed either a lapse in my blog responses to your comments, or a lag time, throughout this month of August. This is because I made a commitment to myself last year, when I took an unprecedented three weeks vacation — all in row! — that the pay off in terms of my clarity, openness, and, yes, increased curiosity, was worth the aggravation of not being available 24/7 to my online biz. 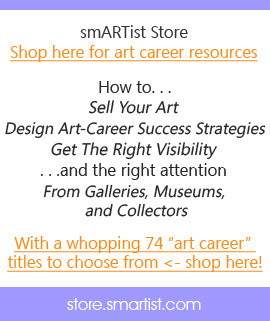 Weekly smARTips: Part 2: Who is an artist’s best resource? 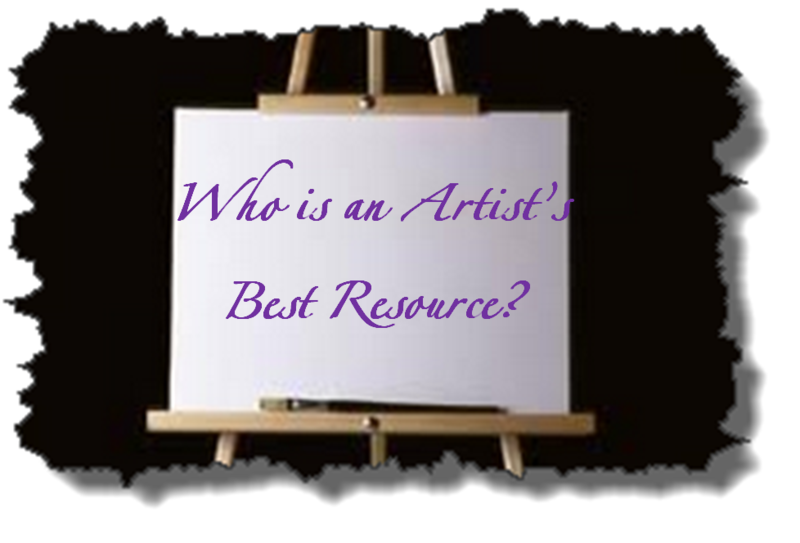 Part 2: Who is an artist’s best resource? While I was writing last week’s smARTip, Part 1 of the artist-to-artist relationship, Sari Grove commented on an earlier post about the Art-Selling Equilateral Triangle. And, of course, I took a writing break to scan her comment. Turns out it was way too fascinating to just scan (something I’ve learned about Sari – she’s not the scannable type). It also turns out that her War & Peace comment had a lot to say about the artist-to-artist relationship – from a whole other perspective. Sari’s comment changed the way I ended up writing this week’s smARTip. 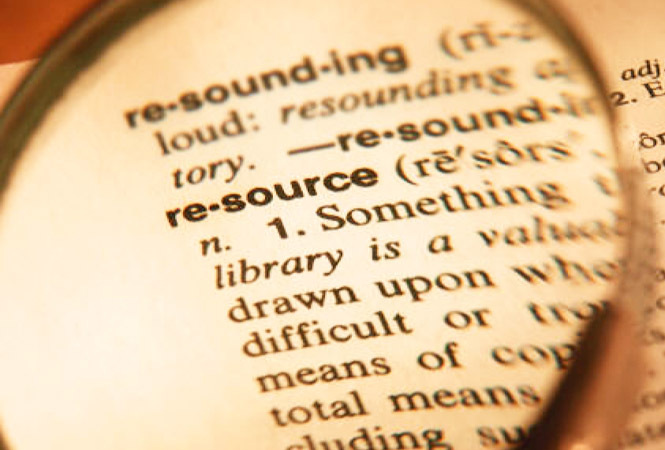 Weekly smARTips: Part 1: Who is an artist’s best resource? Part 1: Who is an artist’s best resource? Who is an artist’s best resource? As far as I can tell, artists can never have too many resources to help them navigate the white water rapids of the art world (can you tell it’s full out summertime over here?). So when I hear artists ragging on one of their best resources ever, it’s hard for me to sit on my hands. This may not be a surprise to many of you, but fellow artists are your best resource. Since my very first opening comments at the very first smARTist Telesummit in 2007, I’ve been talking about the relationship of our internal reality to our external reality, and vice versa. And I had some push back that first year from artists who didn’t want to hear what they identified as “new age” or “woo woo.” These artists wanted practical information. Period. My problem (not theirs) is that I’m hard wired to look under the hood of practical information to understand the psychological, emotional, or spiritual foundation. It’s the very same instinct that turns up in my book on artist statements (again, challenged by artists who didn’t find value in looking under the hood). Which, honestly, confused me a lot since I have always equated artists with curiosity.